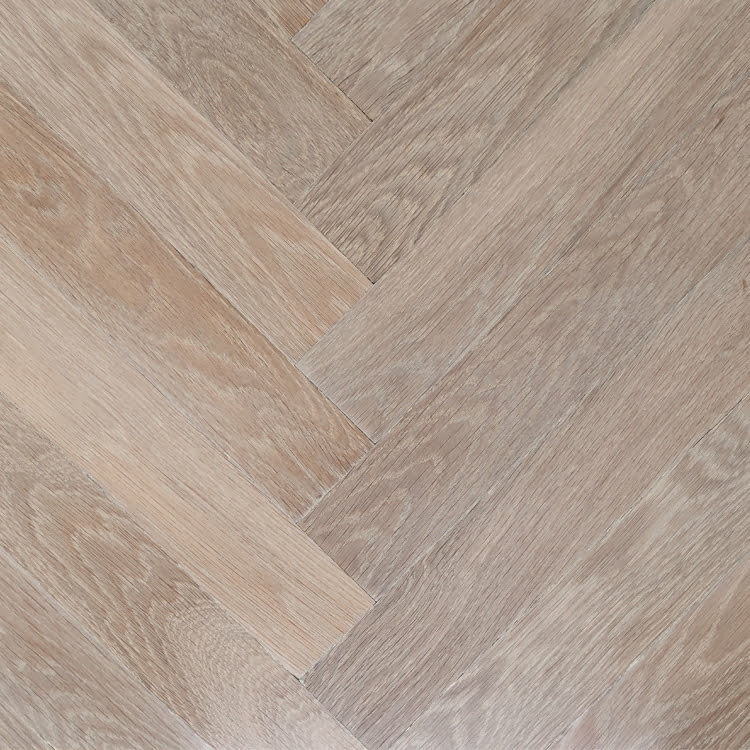 We offer the three different styles of the classic French parquet flooring: Versailles panels, Chevron (Hungarian Point) or Herringbone. The antique or reclaimed flooring is refreshed, and cleaned. 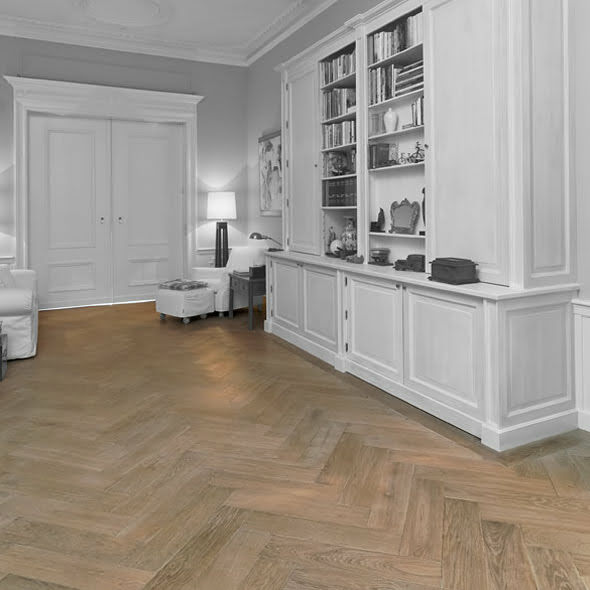 The Parquet flooring is available in our “aged” color references. Still nowadays you will find this elegant in the older apartments in Brussels. 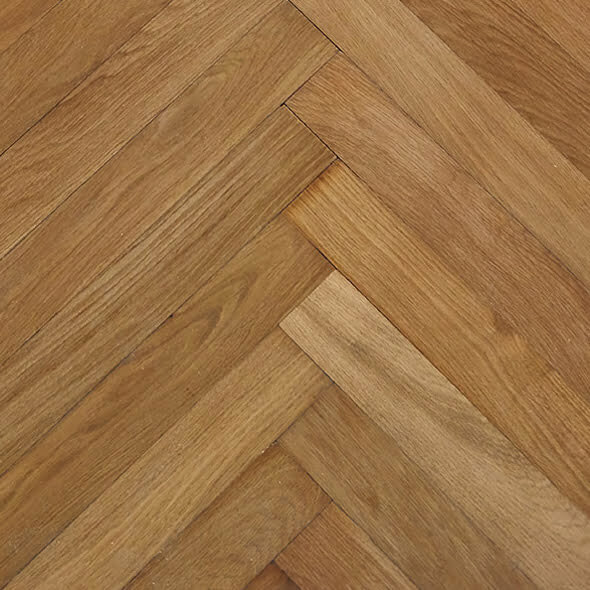 The typical Herringbone pattern of the parquet flooring, which has the distinct zigzag pattern, the planks are cut at 90 degrees. This classic patterns give interiors an unusual elegance. Today this pattern is often used in very chic smaller spaces and vintage styles. 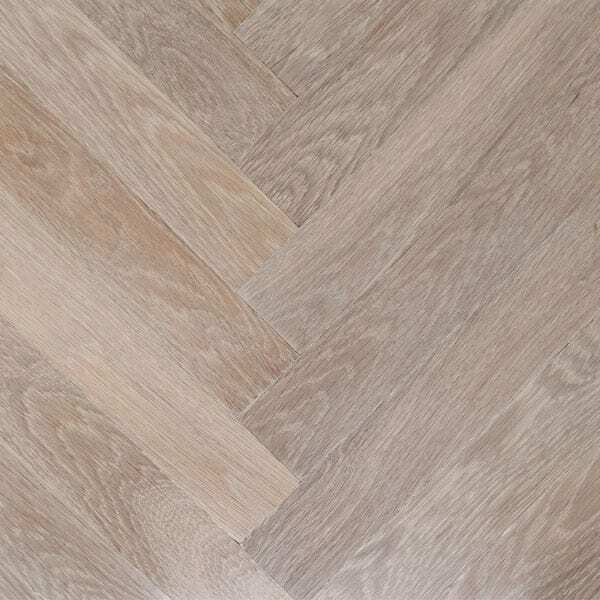 This parquet flooring is only available in solid wood with our standard dimensions of 4.72″ x 28.34″. Choice of board thicknesses: 3.93″, 5.90″ and 7.87″. Categories: Reclaimed Building Materials, Flooring and Tile, Oak Wood Flooring. 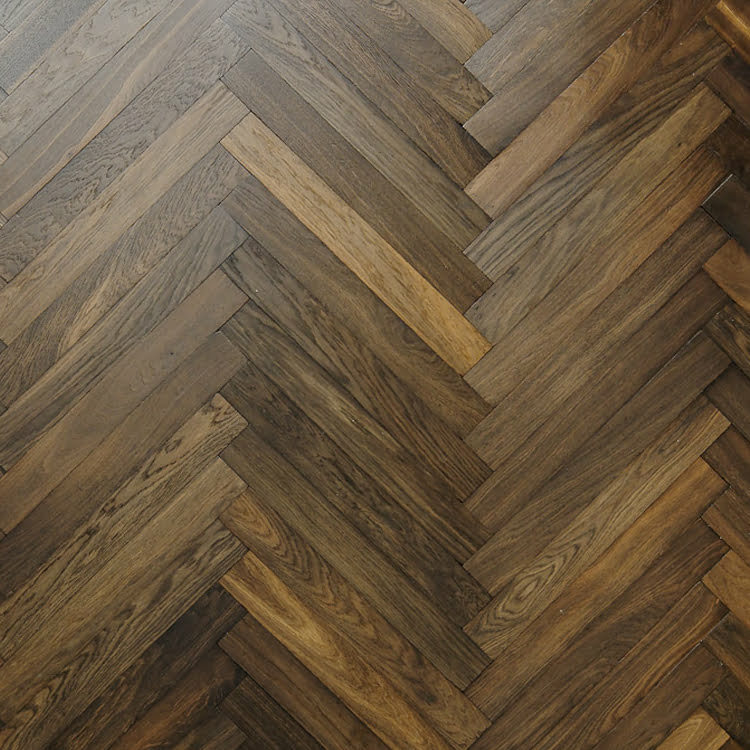 This parquet flooring is only available in solid wood with our standard dimensions of 4.72" x 28.34". Choice of board thicknesses: 3.93", 5.90" and 7.87".